There is a plethora of potent portable pistols perfect for picking for home defense guns. Which one to get, though? There are so many great choices. Partially it's a question of what you like and what you want from a home defense pistol. If you want to get all tactical and what not, you can do that. If you prefer a classic handgun that will punch potential pillagers, plenty abound. 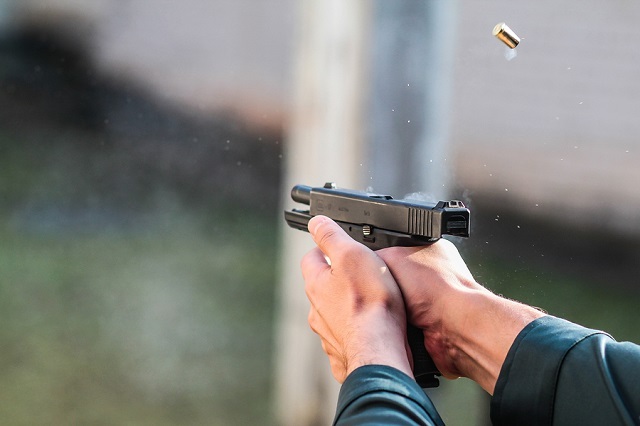 The Glock 17 Gen 5 is the latest and greatest iteration of the venerable Glock 17. Accurate, reliable, endlessly upgradable, and not terribly expensive to boot. You can leave it stock - everything you need, nothing you don't - or add optics, a light/laser and anything else you can imaginable. The Glock 17 is, without doubt, one of the slam-dunks of handgun purchases. You will never go wrong buying one in the broadstrokes. While maybe not the best suited to concealed carry (plenty of people do, though!) it is a duty gun par excellence and thus is about as no-brainer is no-brainer gets. If you want a classic pistol with modern appointments, look no further than the Springfield Range Officer Elite Operator 1911. It's the 1911 operating system that so many love, but with updates for the modern shooter's sensibilities. It can be had in 9mm or in .45 caliber. An accessory rail lets you hang a light or laser. 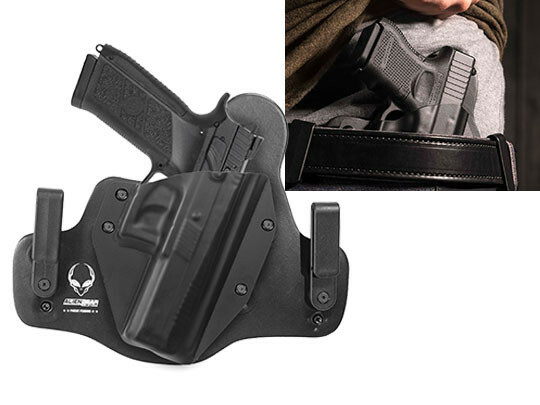 You get tactical sights, G10 grips, upgraded trigger, match barrel, ambi safety levers and a black finish that will stand up to years of use and abuse. You get the 1911 operating system, but it lets you get so tactical you'll have to wear ripstop pajamas. Some folks want firepower, not features, which is what the Ruger GP100 specializes in. It's a no-nonsense magnum revolver. You get six shots of the hot stuff, but thanks to Ruger building its wheelguns like tanks, this gun can actually shoot a steady diet of it without having to worry about it unlike other wheel guns which are known for it. You actually get a generous selection of models to choose from including blued and stainless steel, full underlug or styled to look like the old Security Six, and the Match Champion models. Regular sights or target sights are available. It used to be that you could choose .357 Magnum or to get lost, but today you can also opt for .327 Federal Magnum, .44 Special (which reduces to five cylinders) and even 10mm with moon clips. Want a classic Wonder Nine? 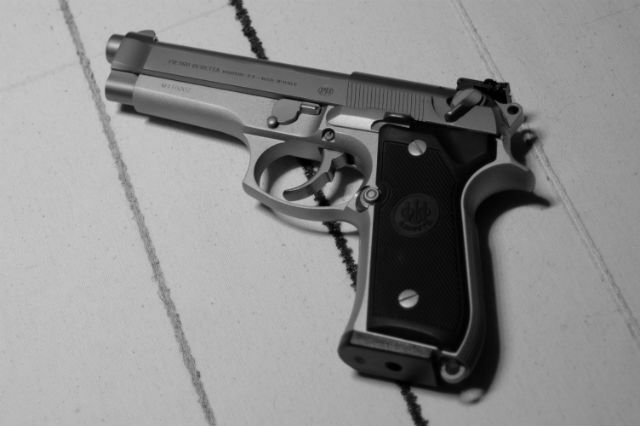 Look no further than the (arguably) most famous one, the Beretta 92FS/Beretta M9. Sure, it's a brick. Sure, it's old-fashioned. Sure, that DA trigger pull is stiff. But you get 15+1 of 9mm and the proven accuracy and reliability of the 92FS platform, which served our armed forces and thousands of police officers well for years. You aren't too old for this stuff. Like the Beretta 92 but prefer the 21st Century? The CZ P09 is the Wonder Nine for the digital age, with a polymer frame and modular operating system that make it practical and tactical. The standard magazine holds 19+1 of 9mm. It has swappable backstraps to get the fit dialed in. It comes with CZ's Omega trigger system, letting you switch between a decocker or a manual safety. You can get it with or without a threaded extended barrel and tall sights for use with a suppressor, and it comes standard with a rail for your favorite laser and/or light. The H&K VP9 is a better version of the Glock 19. It's more comfortable. It has a better trigger. It's a tad more accurate in many hands. It looks better too. 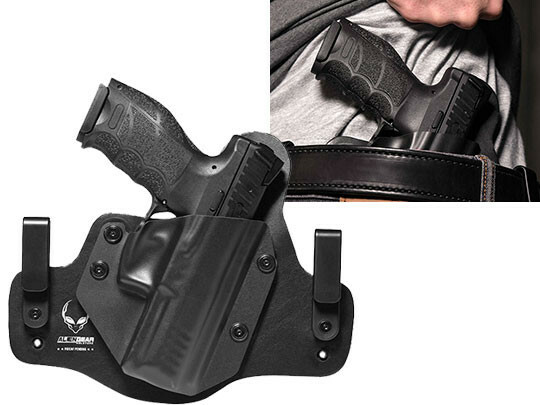 It can also pull double-duty as a carry gun if desired. It's more expensive, but it's honestly worth shelling out a little more when you get more quality. The Sig Sauer P320, one of the few modular handguns in existence, is unique in that you can swap the Fire Control Unit from frame to frame. 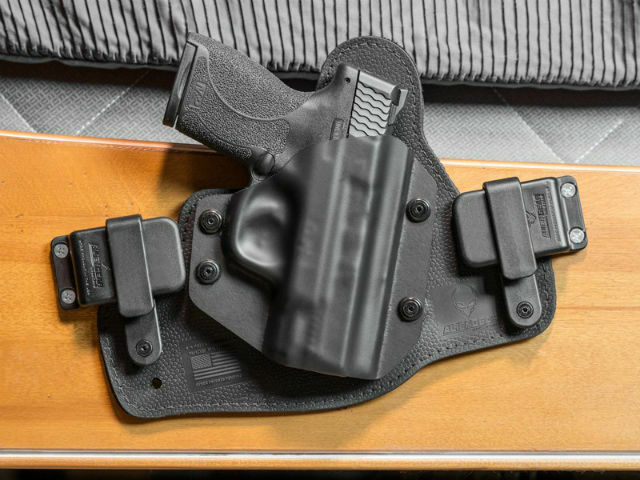 If you were to pair a Subcompact or Sig P320 Compact frame and slide with a Sig P320 Full Size, you could go from carry gun to nightstand gun in a matter of seconds. 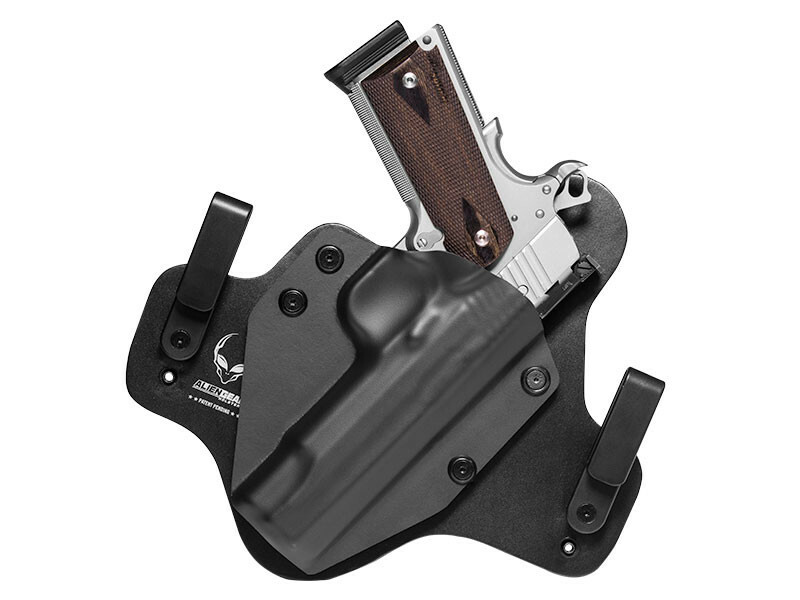 If only someone could make a modular holster capable of the same thing. Heck, you could even just pair a Sig P320 Full Size slide with a Sig P320 Carry frame, which has the full grip length but a shorter dust cover...which is practically the same thing as the M17 pistol, the variant of the Sig P320 adopted by the US armed forces though sans manual safety, of course. That makes a formidable home defense pistol. The Sig P320 is endlessly configurable, as you can have a low-profile model for carry and a tricked-out tactical model for home defense. Add a suppressor, a laser/light combo, or even reflex sight optics, and it's available in multiple calibers to boot. My favorite is my Sig P320, and the Ruger SR9 works well too. Both are full-size, double-stack 9mm, with 17 in the stick and one in the tube.